Top 5 Best Destinations To Ski In India.. 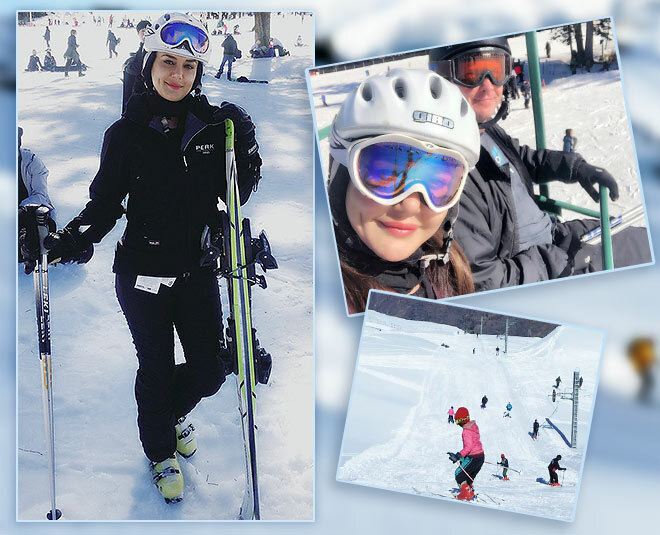 The adventurous activity of skiing is something that you can totally look forward to when you plan on visiting a snowy place. But not every place offers a good terrain to ski even if it is covered in snow. You need to have a smooth and fluffy surface that’s not very slippery and lets you glide easily. 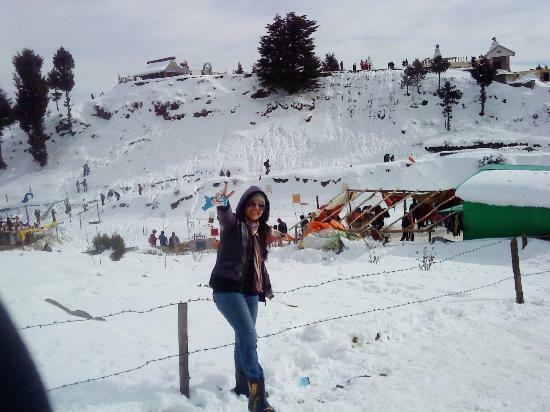 Top on our list is India’s Switzerland, the ever-white Auli. It’s snowy, it’s clean and it’s also located way up in the hills at an altitude of 2500-3000 metres from the sea level. Why should you visit Auli for skiing? Well, the government hosts awesome winter sports competitions to encourage skiing and the place has a chairlift, ski lift and cable car facilities to let you have a very enjoyable experience. Think of snow and the first destination that you can visualise is Kashmir. So ideally, a skiing trip to Kashmir should definitely be in your travel bucket list. Whether it’s the peaks and valleys of the beautiful Pahalgam or the snow-white magnificence of Gulmarg, just take your pick to ski, snowboard and do other activities to get the adrenaline rush that you crave for. It’s the perfect choice for a kiddie trip or an adventure trip with friends. 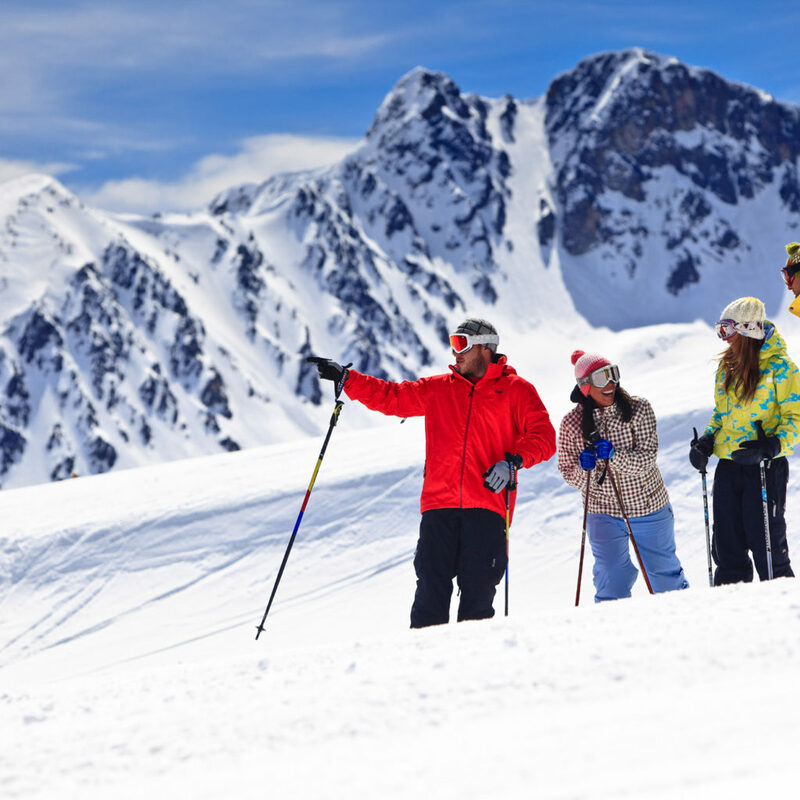 Head to the picturesque Solang Valley in Manali to have an adventurous dose of skiing. A hit with the family vacationers and adventure enthusiasts alike, the Solang Valley is perfect for snowboarding, ice-skating and other snow sports activities. In fact, Aanchal Thakur, who was the first ever Indian to win an International medal in skiing, hails from a village in Manali only. 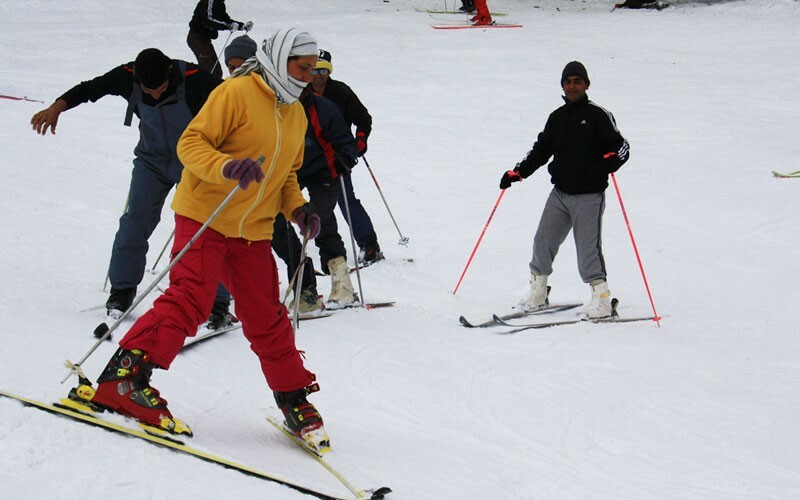 Situated at an altitude of 2622 metres, Kufri is a very popular spot for skiing in India. The thick snow of the Mahsu ridge in this winter sport capital of Shimla offers the perfect opportunity to skiers. The closest airport to reach Kufri is Jubbarbhatti Airport. Situated near Uttarkashi, Dayara Bugyal is another heaven for those who are looking forward to slide on snowy slopes. Trekking here in summer season and skiing here in the winter season are the ultimate activities. Jolly Grant Airport in Dehradun is the nearest airport to reach here. With machine learning, artificial intelligence, quantum computing and other high-tech advances, most of us have wondered if our jobs will be taken over by technology. The bad news is, this is already happening for some professions doing rote work, such as telemarketers. The good news is, studies show that some jobs are less at risk than others, because they are complex rather than predictable, or require the kind of creativity or emotional intelligence that machines don’t yet possess. So here are jobs that will not disappear anytime soon. A choreographer is an artist who designs and directs dance routines and performances that will entertain, inspire and sometimes challenge audiences. A quintessentially creative profession—combining music and movement—choreography is beyond the capability of machines right now and for the foreseeable future. Teachers not only need to know a lot, they must shape the development of their students, with keen insights into their character, their abilities and what motivates them. Empathy and a nurturing nature are important characteristics. While teachers increasingly must know how to use new technology to do their jobs, they are unlikely to be replaced by it. These law enforcement professionals—including police sergeants and captains—are tasked with coordinating criminal investigations, providing their expertise and guidance to investigators. Their work requires leadership and problem-solving skills, a thorough knowledge of police procedures, grace under pressure and other qualities. In different religious traditions, a clergy person is an ordained member who conducts religious worship, carries out official rites and provides spiritual assistance, moral guidance and support to congregation members. Dealing with personal, emotional, spiritual, societal and other issues makes the clergy’s job hard to replicate by machines. One of the things that are hard for machines to replicate is emotional intelligence. A fair bit of this is required by psychiatrists as they diagnose, treat and try to prevent a variety of mental, emotional and behavioural disorders in their patients. While computers may search resumes for the right keywords, narrowing down the field for job candidates, human resources managers also have insights into what makes people tick personally and professionally that they rely on as they recruit, interview and hire new staff. Mediating disputes, handling disciplinary actions, planning strategically to make the best uses of the workforce’s talents also require serious people skills. As much as fitness devices like Fitbit are all the rage, it still takes the personal touch of a fitness trainer to keep people motivated and on track for their exercise goals. And with an aging population, and all the associated maladies, the U.S. Bureau of Labor Statistics predicts that from 2016 to 2026 the profession should grow by 23%, much faster than average. These therapists also need emotional intelligence and human insight to do their jobs, as they “treat a wide range of serious clinical problems including: depression, marital problems, anxiety, individual psychological problems, and child-parent problems.” With a 23% predicted employment growth from 2016 to 2026, their job prospects outstrip many other professions. In today’s growing gig economy, temporary, flexible jobs are becoming more common, with numbers of freelance workers and contract employees growing compared to full-time staff. Often their work is related to technology, such as Uber and Lyft drivers, and food bicycle delivery people. The work requires flexibility and independence—something machines isn’t known for. People aren’t crazy about other people poking around their mouths; they’re even less eager to have machines take over the role. With nice salaries to boot, (human) dentists will continue to find a growing demand for their services, diagnosing and treating problems of the teeth, gums and other mouth parts. Creativity is the hallmark of the composers who write and arrange original music and the directors, or conductors, who lead musical groups during performances and recording sessions. With the number of people attending musical and theatrical performances expected to stay steady in the years ahead, the profession will still be needed, although with increased competition for jobs. The continuing need to prevent and deal with forest fires, as well as consumer demand for wood pellets, will ensure that conservation scientists and foresters are around to plan, maintain and preserve public and private woodlands. In the future, the best job prospects will be for the professionals who well know geographic information system (GIS) technology, remote sensing and other software tools. With the growing number of cyber attacks threatening our increasingly connected workplaces, cyber security is a profession that will continue to command good wages and grow—conservative estimates predict that job growth in the sector will be 37% a year through 2022. Good for those in the field; alarming for the rest of us. And a case of how technology is creating new jobs. With the high demand for animation and visual effects in videogames, television, movies and online, employment prospects for this profession will remain steady. While multimedia artists and animators must use the latest technology in their work, the creativity they bring to projects keeps the machines as tools, instead of masters. 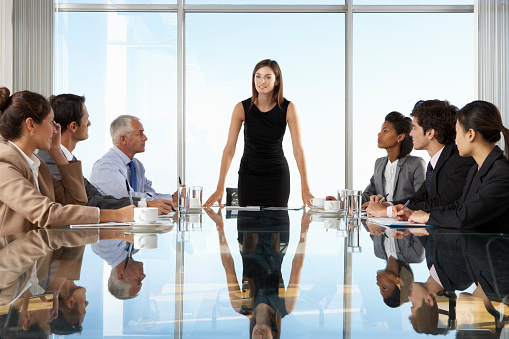 Whether an organization is large or small, its chief executive has their hand at the helm, devising strategies and policies to ensure that it stays on track and meets set targets. Long hours, high stress, and plump salaries and bonuses are part of the job for both public and private sector chief executives. As long as there are organizations, there’ll be a demand for leadership. An aging and increasingly obese population, and the rise of diseases such as diabetes and heart disease, will help keep demand for dietitians and nutritionists high, with employment projected to grow by 14% over the next decade. These professionals are experts in using food and nutrition to promote healthy lifestyles and manage disease. While machines are on the rise, you still need people to create and care for them. Mechanical engineers help design, make prototypes, test, refine and produce just about any kind of machine you can think of. These include ones for the automotive industry, aerospace and transport industries, power generation, refineries, insurance industries, building services, railway systems design and other sectors. Coaches and scouts find and refine athletic talent. Coaches give amateur and professional athletes the training and skills they need to become contenders in their sports. And scouts track down new players, assessing their skills and how likely they are to be successful. With high interest in college and professional sports, the demand for this profession will grow at a rate faster than most other jobs. “Some say technology will replace 80% of doctors in the future”. “Instead, technology will finally allow doctors to focus on what makes them good physicians: treating patients and innovating, while automation does the repetitive part of the work.” A growing and aging population will help ensure the demand for physicians grows. Recreation workers keep people active and healthy with fitness and recreational activities in sports centres, camps, nursing homes, community centres, parks and elsewhere. With an increasing societal focus on lifelong health and well being, these professionals will continue to be in demand to work with people of all ages in a variety of settings. While automation will take over some food production jobs (and already has), people will always want a good meal out. Combining manual skills with great creativity, an executive chef knows how to mix flavours and create innovative menus in ways that will future-proof their profession. Fast-food chefs, however, are susceptible to automation and AI burger-flipping assistants. There is essentially a deposit linked to the card, most commonly a savings or a current account. Thus, for fraudsters, a debit card is the key to ready cash! They can use it at ATMs locally or internationally to actually bleed you of our hard-earned money, or it can be used at a Point-of-Sale machine to make purchases of goods that can usually be readily sold off at an attractive discount -- finally getting the fraudster money. Fraudsters needed two elements before January 1 2019 : The data on the magnetic stripe of your debit card, and your PIN. These details were easy to obtain. Skimmers -- devices that would read the magnetic stripe of your card -- were used to get details from the magnetic strip on your card. This is possible when you let someone else handle/swipe the card for you -- for example at a petrol pump, or a restaurant. A criminal or an accomplice would use a skimmer just before or after making a legitimate transaction at a POS machine, before returning the card to you. They would also 'shoulder surf' the PIN as you entered it at the POS machine. Armed with both these, they would produce cloned cards. Another variant of the scheme involved fixing skimmers at the ATM card acceptance slot to read the magnetic stripe of the card, and a camera or a keypad overlay to capture the key-strokes as you entered your PIN. Fraudsters’ party at the ATM will slowly come to an end after the Reserve Bank of India along with the Card Schemes (MasterCard/ NPCI/Visa) mandated that the ATMs shift to reading Chip-and-PIN (instead of the erstwhile situation when ATMs read the magstripe, even of a Chip-and-PIN card ) on and after January 1, 2019. As debit cards are mostly used at ATMs, it has now become next to impossible for the fraudsters to effectively clone a debit card for subsequent misuse. Mind you, the chip is impossible to break/ compromise in a commercially viable manner with today’s technology. However, it is envisaged that your debit cards could still be used for frauds at ATMs that are not Chip-and-PIN compliant yet, or for online transactions at internet / remote payment merchants who do not support second factor authentication. Fraudsters will still try to steal your card data through innovative techniques. At a mall, or crowded public place you may find a kiosk with some bank officers running 'Debit Card Usage Promotion' campaign. Sometimes, they bring you an exciting offer and may ask you to swipe your debit card at a POS machine and make a one rupee transaction using your PIN. You may be promised a coupon on the spot for Rs 500 for an ice-cream parlor in the same mall! The POS print may look like a legitimate charge-slip. You may even receive the coupon to be redeemed at the parlour. A few days later you may find cash withdrawal debits from ATMs abroad or from anywhere in India. 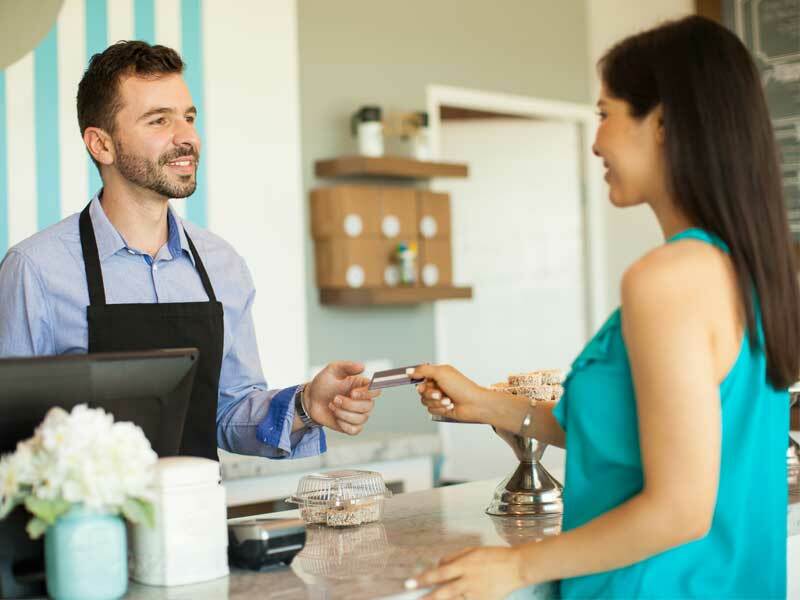 By luring you with a Rs 500 ice cream coupon, fraudsters stole your card credentials through a skimmer and PIN logger bundled together to look like a POS machine. If someone pretending to be your bank wants to solicit your card/ account/ personal and confidential information, they will try to snare you by advising or threatening you that unless you immediately confirmed some details, your account will be blocked or debit card cancelled. Do not fall for this trick. You must immediately call the phone banking number published by the bank (printed on the back of your card or on your account statement) to verify such solicitations. If you get a small amount debits/ credits from merchants that you do not identify or were not expecting ( especially in fractions, not a rounded amount), be wary as this could be a test transaction carried out by fraudsters to see if they get a success message on a compromised card. If you do not alert your bank or block your card, sooner or later, they will try a high value transaction to bleed you. If you have still not figured out why you got the message for a fractional amount, it’s because the fraudsters transacted 1 unit of their home currency, which when converted into Indian currency, got posted in your account as fractional or unusual amount. So if you saw a transaction from a Chinese Merchant for INR 10.237, it’s because the rogue merchant in China tried your card for one Chinese Yuan, which is approximately the value you saw charged to your card, in rupees ! Be careful if you find your postal mails/ bank and financial statements intercepted, pilfered or tampered with or lying about your premises before you received those or after you discarded them. Fraudsters may have been trying to glean your financial details to masquerade as if they were you. This is their first step toward identity/account take-over. The potential victim could be you or your family. Always collect your mail regularly; don’t let your postal mailbox overflow. If you are away for long, have a neighbour or someone trustworthy clear it for you. Remember to shred the financial records and bank statements that you no longer need. This may be because fraudsters have managed to get a replacement card issued in your name, but diverted it to their address. Be wary if your existing card gets blocked and won't work. Artificial Intelligence is clearly the buzzword today. Everyone is discussing about its aspects and evaluating its pros and cons to the best of their interests. While AI is the newbie masses are going ga-ga over, it is speeding up faster than one anticipated. AI has conveniently paved its way into our lives. Knowingly or unknowingly we use it seamlessly in the basic chores. Anyone who has used a Smartphone is bound to have come across AI in some way or the other. It won’t be erratic to say that the machines are now becoming as intelligent as humans, which is both astonishing and alarming at the same time. There is a wide plethora of hush-hush revolving around the future job opportunities etc. Contrary to the pessimistic belief, AI will not take away the job of humans. In fact, it will create amplitude for additional job opportunities and ignite the need to employ more and more people under its garb. Right from research, technology, implementation, integration, innovations etc., there will be reasonable demand for people to work under advancement and expansion of AI. For clearer understanding, AI could be regarded as a separate department similar to the various departments functioning. Thus, like the latter, there will be people working in the AI vertical. More than elimination of jobs, a rendition of jobs will be experienced. Though there could be loss of few human jobs at grassroots level wherein the work is now gradually being conducted by bots. The integration of AI is done to get rid of mundane and boring work conducted by humans which becomes automated and free of error. 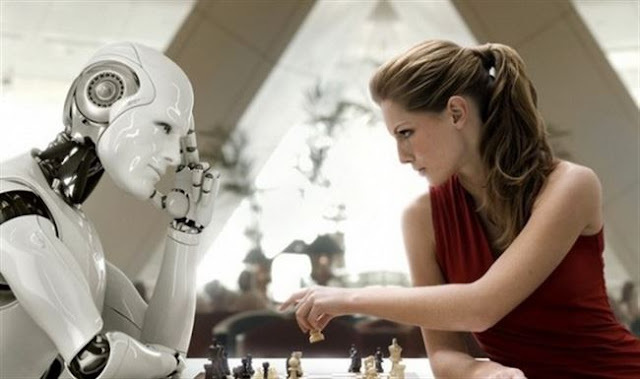 For AI to not be a threat to your job, one must evolve, work smartly and match pace with AI. If you lag, you may unfortunately have to bear the brunt. The ratio of new jobs and opportunities created, however, will be far more than jobs getting eliminated due to AI. If you’ve believed the sci-fi movies, AI enabled robots, according to you, will perform horrid tasks which can create havoc on human race ultimately leading to extinction. This isn’t exactly how it sounds. AI enabled devices can perform only what they are designed to do. The extent of their power should be strictly regulated. When the AI system is granted the authority to think of its own that is when the results could be ambiguous and horrifying. It is in the hands of human to be extra cautious when it comes to artificial intelligence and if it is fabricated so as to bring about affirmative innovations and changes, it will certainly work in that direction. The inception of AI is certainly driven by technology companies. But now it is gradually being incorporated by other sectors and industries. Right from financial sectors to healthcare, retail and e-commerce to BFSI, FMCG and so on, each vertical is eager to devour the AI-led opportunities that lead to significant benefits for the brand. It is deemed useful in more ways. AI is extremely complex, far more than we can imagine. Since it is still in nascent stage, there aren’t many people who comprehend its usage thoroughly. Thus, deeper knowledge and understanding of AI is paramount and this makes room for more opportunities as the competition with respect to jobs is less. Meaningful integration requires specialization and quite a few people are acquainted with only the basic understanding of AI. As far as R&D is concerned, the researchers are split between optimists and pessimists. It is intriguing to dig deeper into the debate and create breathtaking innovations out of the same. Thus, the scope of AI is far-sighted and impactful. The degree to which AI can blend in our lives is limitless. The extreme power of AI is unknown and unexplored for mankind and thus, there lies endless opportunities for it to grow. There are various tributaries, verticals that AI delves into and each one is different from the other. Whether backend or frontend, research, idealization, implementation, functionality has immense scope which the aspiring job seekers could bank upon and extract path breaking innovations. They must seize the opportunity and seek maximum benefit from it. With the exponential scope and potential of AI, there is a need to deploy more human resource to satiate the requirement. Considering it is in its growth stage, this is the perfect time to understand and get associated with it. Good luck! Investor sentiment is bullish, and funding for new ventures flows more freely than ever before. At the same time, the array of start-ups grows relentlessly, keeping competition constant, if not intensifying it. There are many great ideas, and all of them are vying for a share of the jackpot. Now, put yourself in the shoes of the average VC (venture capitalist), boggled and overwhelmed with the sheer diversity of ideas before him. How do you stand out from the sea of rivals? What are you doing differently? You have a great product. But is that enough? You have a great idea. But have you charted a future course for it? Don't leave crucial threads untied. Don't start off on the wrong foot. By giving up too much equity early in the game, you're relinquishing control of your business, and diminishing the chances of raising additional money later. 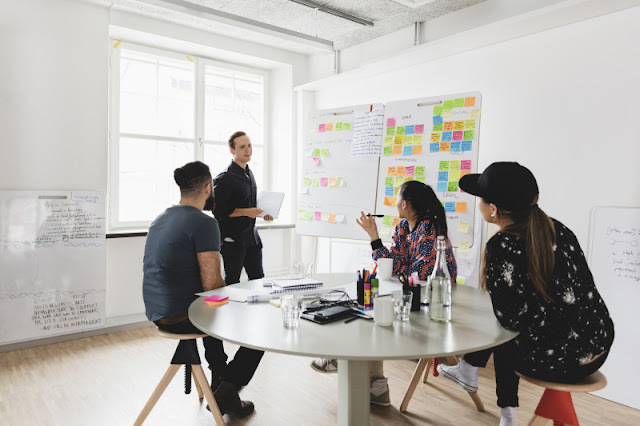 If you're a minority shareholder in your own company, it's no longer your own company as taking and executing key business decisions becomes near impossible. Think twice before giving away 50 percent of your baby to the guy with deep pockets. It is important to focus on various facets of your venture for multi-pronged growth, but never to the exclusion of other factors. Don't lose sight of the bigger picture -- the whole is greater than the sum of its parts. One such crucial part, financial planning, cannot take a backseat unless you want your business to run dry. Math is important, but don't underestimate the power of emotion in convincing your investors you're the right candidate. They're only human, and they know fiery passion when they see it. So skip the boring slideshow and tell a story. Tell them where you come from. Tell them where you're going. Tell them about your dreams, and what inspires you. Let your eyes glimmer and your words cast a spell. You need to know where exactly your money is being pumped as the lack of a financial break up will get you neither here nor there. This entails creating a blueprint of what percentage of funds goes where. Sure, your product is great. But how's it different from your competitor's? Does it add value to the market, or are you reinventing the wheel? Remember -- the latter isn't necessarily bad, as long as you have a concrete philosophy backing it. A common problem that leads to overlooking many critical aspects of the cost is an incomplete or carelessly crafted business model. A sound plan has a bearing on your finances in that it helps chalk out expenditure accurately, allowing you to realistically assess the funds your business needs. Most founders 'guesstimate' the amount of money needed, rather than methodically doing the calculations. This can be the worst possible mistake for your business -- sort of akin to knowing you need antibiotics for your cold, yet not discerning the difference between a three-day course and a three-week one. Know what your business is worth, and ask for what is due. It's easier said than done, of course, for a truthful appraisal of your business require a grounded and rational approach. Don't be afraid to seek external help for a tempered perspective. Again, if you forgo methodical rationality, and don't seek advice from peers and advisors, you are likely to value your business inaccurately, which will prove to be a roadblock in getting funding. Nothing kills credibility as quickly as lacking an understanding of your own idea. A business isn't a business without a plan. Where is your business going? What do you see yourself doing six months from now? Where do you see the company five years from now? These are important questions to ponder upon. Even if you don't have answers, ask questions -- they will give you direction. When valuing your business, use multiple approaches. The discounted cash flow method is commonly used, but often not enough for an accurate appraisal. Employ a combination of strategies -- comparable company analysis, comparable transaction analysis, the net asset value method, etc -- to arrive at a valuation range. If you're doing it correctly, the ranges shouldn't be too far apart. Pre-money valuation refers to the value of your company minus external funding or the last round of funding. Post-money valuation includes external financing or the latest capital investment. Know the difference. It is impossible to value your business without these basic tools. Even this list isn't exactly exhaustive. The simple fact is that each pitch is unique, and must be tailored to the specific circumstances you face. However, these twelve basic pointers are a good place to start. Keep them in mind, and do your best to get the funding your dream deserves. Good luck!